Yes, Healthy and Chocolate AND Peanut Butter are all in the title. Isn’t that fantastic? It is possible to get a healthy treat while try to get fit or lose weight. My husband and I started a fitness program about 10 days ago and we have re-committed to getting healthy and fit. This isn’t always easy, though when you are in the mood for a treat. I will be honest, chocolate and Peanut Butter are two of my weaknesses. 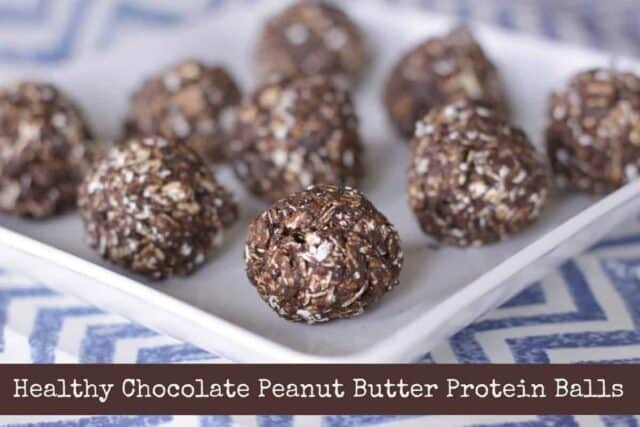 This recipes combines both of those ingredients in a high protein bite sized treat! 1. Combine shakeology and oats until mixed. 3. Mix in PB2 until completely combined. 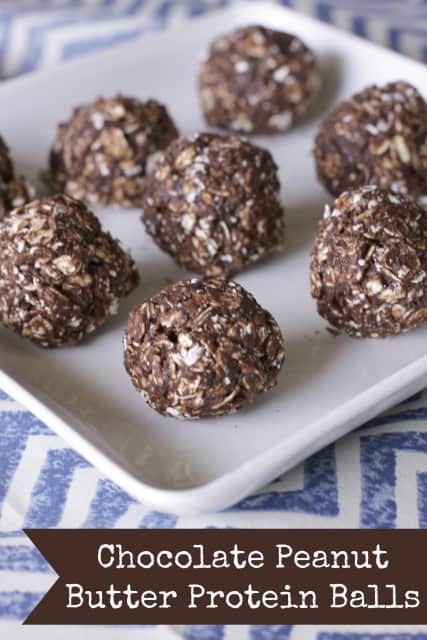 This recipe makes 4 balls. Serving size 2 balls. The PB2 is really nice because it gives you the taste of Peanut Butter but with less fat and less sugar.